is an ancient Hindu festival and only Vedic Festival dedicated to the Hindu Sun God, Surya and Chhathi Maiya (ancient Vedic Goddess Usha). The Chhath Puja is performed in order to thank Surya for sustaining life on earth and to request the granting of certain wishes. 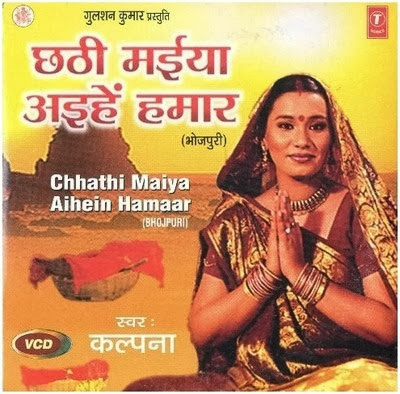 The Sun, considered the god of energy and of the life-force, is worshiped during the Chhath festival to promote well-being, prosperity and progress. In Hinduism, Sun worship is believed to help cure a variety of diseases, including leprosy, and helps ensure the longevity and prosperity of family members, friends, and elders. Although it is observed most elaborately in Bihar, Jharkhand, Eastern UP and the Terai regions of Nepal in modern times, and is more prevalent in areas where migrants from those areas have a presence, it is celebrated in all regions and major urban centers in India. 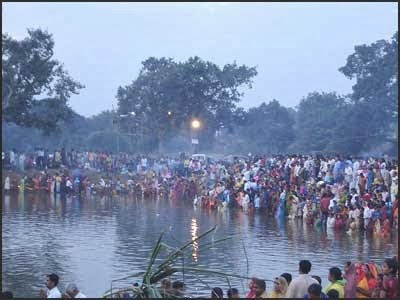 Chhath puja is performed on Kartika Shukla Shashthi, which is the sixth day of the month of Kartika in the Hindu Calendar. This falls typically in the month of October or November in the Gregorian Calendar. It is also celebrated in the summer (March–April), on Chaitra Shashthi, some days after Holi; this event is called Chaiti Chhath. The former is more popular because winter is the usual festive season in North India, and Chhath, being an arduous observance, requiring the worshipers to fast without water for around 36 hours continuously, is easier to undertake in the Indian winters.